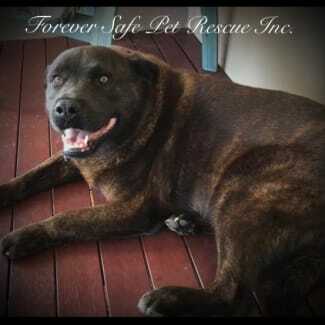 Forever Safe Pet Rescue is a Hervey Bay based rescue group. We have a small number of carers and keep a small number of animals in care at one time to allow us to dedicate as much time and rehabilitation to each animal as is required. Our end goal is to find a Forever home, not just a home for animals in our care. 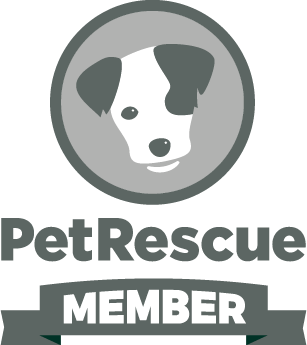 We aim to educate owners on responsible pet ownership as well as offer support and guidance to our adoptive family’s to assist with the ongoing care of their new pet. All our animals are Vet checked, vaccinatinated, microchipped, flea and tick treated, wormed and treated for heart worm prior to rehoming. 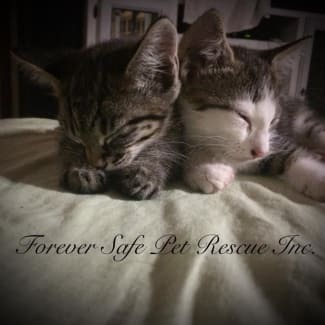 Forever Safe Pet Rescue offers all of our animals for adoption on a trial basis prior to finalising their adoption. What this means is if you are interested in adopting through our rescue, you can fill out an expression of interest form and email it through. All applications are screened and the most suitable new family are contacted to arrange a meet and greet. Once you have had a meet and greet, the applicantion is once again evaluated by the rescue. If the rescue is happy that your environment and family suit the animals needs and the animal suits yours, you can go ahead and fill out the trial adoption paperwork and move forward with a trial period. Tiger is the little silver tabby in the pictures. While he is a playful kitten, he is not as active as his brother and is happy to spend time just smooching with you. He is a joy to have around and is fully litter trained. Tiger is a little bit small to desex at this point, however he will be desexed prior to adoption (if he is big enough), or will be adopted with a desexing certificate and contract. Miss Miley our senior citizen is finally ready to take the next step in her rescue journey. Miley has been a part of the Forever Safe Pet Rescue Family for quite a while now. Miley had sore joints and we needed to figure out what we were dealing with and ensure it was something that could be managed for her. Miley is much more mobile these days. After a diet and being on joint supplements for a period of time, Miley has shown great improvement. Miley isn’t a particularly active dog anyway, but moves much more freely now and will play for short periods of time comfortably. Miley is nearly 9 years old. She is a Lab x Staffy. Miley is such a sweetheart. She is so placid and kind. 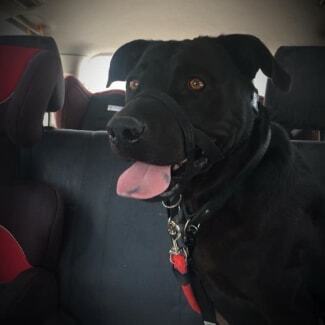 She is a larger dog, she has a cuddly bear-like appearance that you can’t help but love, She has perfect recall and is fine off lead wherever she goes. She is gentle with children of all ages and is currently fostered with a toddler. Miley shows interest in chasing the cat when she thinks your not looking, being older and not so active I doubt she would catch a cat, but we are not certain what she would do if she does. She is fostered with cats currently and it hasn’t caused issues this far. Miley gets along well with all other dogs. She has shown a little food aggression around meat and bones, but not with her dry food. We would recommend feeding her separately though as a precaution if she was with another dog. Miley is fine as an only dog though. Miley is an indoor/outdoor dog and we will only adopt her to a family that will allow her to be a big part of the family. We feel she would be better suited to someone who is retired or home most of the time. She doesn’t sufffer separation anxiety, nor is she a big barker, but we just feel at her age, she deserves to be with a family that can make the most of her senior years with her. Miley’s joints are very manageable. When she is stiff and sore, she requires medication twice a day. Her medication when she is on it, is around $40 for 50 days, so anyone looking to adopt needs to factor about $6 a week into their budgeting for when she may need her supplements. As with all of our dogs, Miley is up to date with vaccinations, worming, heart worm, is desexed and chipped. If you would like to meet our beautiful girl, get in touch. Sam is a very loving, sweet boy. He gets along with most other dogs, but has a keen interest in smaller animals such as guinea pigs, he is untested with cats. Sam has not had a lot of attention before he came to us, so he tends to be a very in your face dog because he is craving attention. We did notice after a week or two in care, once he realised he didn’t have to fight for attention, he is much more settled. Sam is a very energetic boy, so would need an active home. He is fine as an only dog. A long walk, or a quick jog with him every day to allow him to release his energy is sufficient. He doesn’t seem to chase balls, but we are working with him to try and find an activity he will participate in so he can be exercised in his yard to hopefully allow him to get out bursts of energy periodically. Basically Sam just wants your time and love. If a new family was to adopt Sam into their home, we can guarantee you will have a loyal and loving companion for life. Sam just needs a chance. Sam has really had no training, nor was he taught any manners, he will sit on command. He is a very smart boy and highly trainable. In the short time he has been in care he has learned to stay and drop. He is still getting the hang of doing it when there are distractions around, but he is learning quickly and is eager to please. Our gorgeous girl Kuta is moving into the next phase of her rescue journey and we are so excited for her. If any dog truly deserves to find her forever, it’s Kuta. Kuta has had it tough. She came to us underweight and with a severe infection in a lump on her back along with numerous other lumps on her body. Despite the vets serious concerns, the lumps turned out not to be anything serious, however the infected lump was so bad, they were concerned it would rupture and so she was in surgery within 3 days of coming into care. A number of other lumps were removed at the same time, so our beautiful girl has a couple scars that may diminish over time, but who doesn’t dig scars? 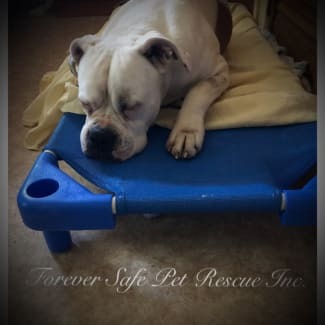 Kuta is a 6 year old American Bulldog with the cutest smooshy face you’ll come across! She is a very sweet girl who just wants to give love and be loved. Despite her past, Kuta has stunned us all by very quickly coming out of her shell and loves nothing more than to show that at 6 years old, she’s not too old to act like a big goofy puppy. Although Kuta is currently housed with other dogs, ranging from small to very large without any issues, she can exert dominance at times, nothing serious, mostly just quick dust ups that leave no marks or injuries, but we feel that because of her size and protective nature, Kuta would be best as an only dog in a home where she will have her humans around a lot. She would benefit from regular contact with some four legged buddies. A supervised visit with another dog she gets along with would be great for her socialisation skills. Kuta has been living the high life with her carer, she is an inside dog, is very well mannered and fully house trained. She will only be available for adoption to someone willing to allow her to continue to be an inside dog and very much a part of the family. Kuta is a very good natural guard dog, she figures out her territory boundaries very quickly and will bark when someone approaches it or enters the yard, she is not a barker otherwise. She has excellent recall and using the harness we have for her, walks beautifully on lead. She is happy to stay inside her boundaries even when the gate is open, she respects fences so doesn’t need Fort Knox to keep her in, just some standard fencing is fine. We would not recommend Kuta for a family with younger children, but only because of her protective instinct and large size. She has great manners around food, will wait for instruction to eat. She knows all basic commands and we have found her to be very intelligent and picks up commands easily. Kuta would excel in some advanced training if her new people wanted to take her in that direction. Before Kuta came to us, she spent a lot of time alone. Due to lack of exercise, she has a lack of muscle tone, so is best suited to short bursts of exercise as she tires easily at the moment, but is improving every day. A good 15 min workout is perfect for her to get out excess energy, then she will happily flop on the couch for a nap. Kuta has had all her Vet work done including desexing, vaccinations, is microchipped, up to date with worming, flea treatment and heart worm. If you think Kuta might be a great addition to your family, get in touch! Diago is a bundle of fun. He is very active and playful. He is the grey/white kitten in the pictures. His foster carers spend hours just watching his antics, he’s a real character. From the time he could walk, he was into everything! 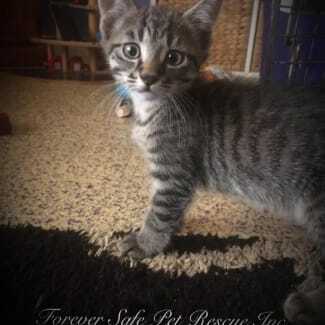 He is just a beautiful kittie, he is fully litter trained. Diago is a little bit small to desexed as yet, however he listed as desexed as he will be adopted out desexed (if adopted when he is big enough), or will be supplied with a desex voucher and contract.